The Board of Polish Oil and Gas Joint Stock Company (PGNiG) has reviewed and updated the existing Corporate Strategy for the years 2014-2022. Global market changes – in particular falling oil and gas prices – are the key reason behind the update. The Strategy update includes the confirmation of geological and commercial potential of Poland's shale gas resources. On 4 April 2016 the Supervisory Board of PGNiG approved the Updated Strategy of PGNiG Corporation for the years 2014-2022. The Strategy had to be updated mainly due to significant changes in the macroeconomic environment. PGNiG will review and assess the existing shale gas prospection/exploration projects delivered in the concessions held. 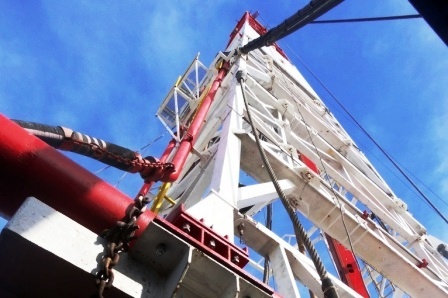 Shale gas resources will be assessed as part of the task headed “Confirmation of geological and commercial potential of Poland's shale gas resources”, along with verification of the potential for a commercially viable production. This will support the decision on whether to continue PGNiG shale gas activity in Poland. As a matter of fact, shale gas exploration is in standstill in Poland. No wells have been drilled so far in 2016 and only two previously drilled wells (Wysin 2H i Wysin 3H) are to be hydraulically fracture stimulated . Currently, PGNiG holds only 4 unconventional oil and gas exploration concessions with a total area of 3783.7 km2. The concessions are located in two provinces (Pomeranian - 3 concessions and one concession in Warminsko-Mazurskie Province). The number of concessions held by PGNiG shrank threefold: in 2014 the company held 12 of them located in 8 provinces and covering an area of 10793.8 km2. PGNiG withdrew from exploration of unconventional hydrocarbons in Lubelskie, Mazowieckie, Kujawsko-Pomorskie, Podkarpackie, Wielkopolskie and Dolnośląskie Provinces. With 19 exploratory shale gas wells drilled since 2010 PGNiG is the leader amongst all shale gas exploration companies operating in Poland. However, the involvement in unconventional gas exploration represents only a fraction of the conventional drilling effort: in 2015 alone PGNiG drilled out 27 conventional oil and gas wells. Two of them have been completed in 2016 and two more are in drilling. All we can do is to wait with patience for the results of hydraulic fracture stimulation of the Wysin wells and an assessment of the purposefulness of continued shale gas exploration effort by PGNiG.